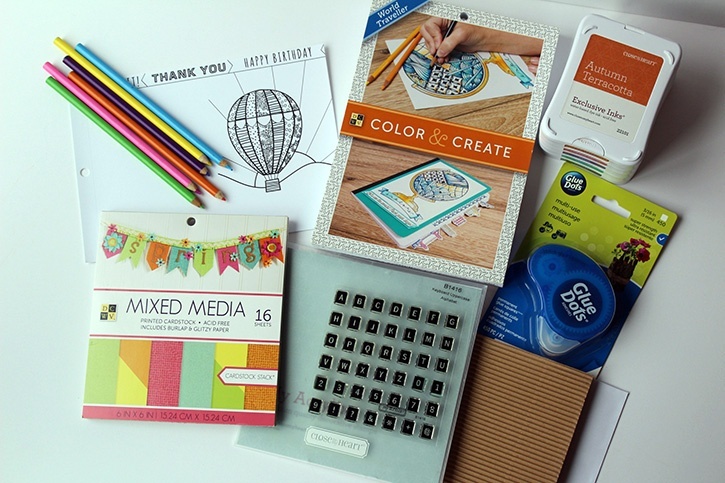 Coloring books are growing in popularity and making their way into craft rooms everywhere! 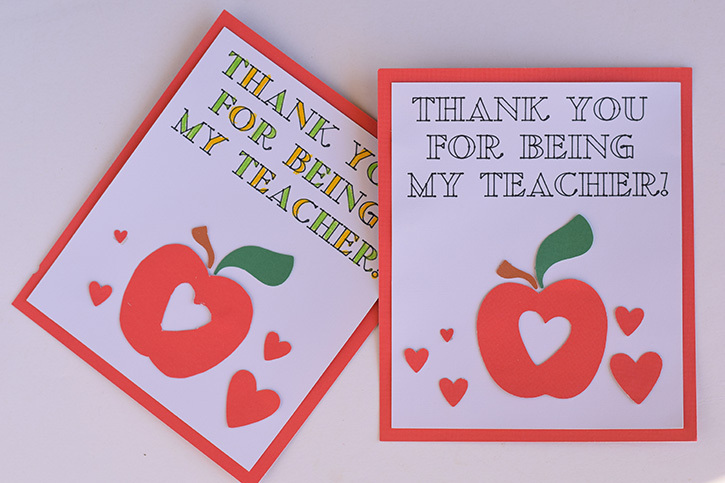 De-stress as you color and then turn that art piece into a card like the one below for an inspiring teacher. 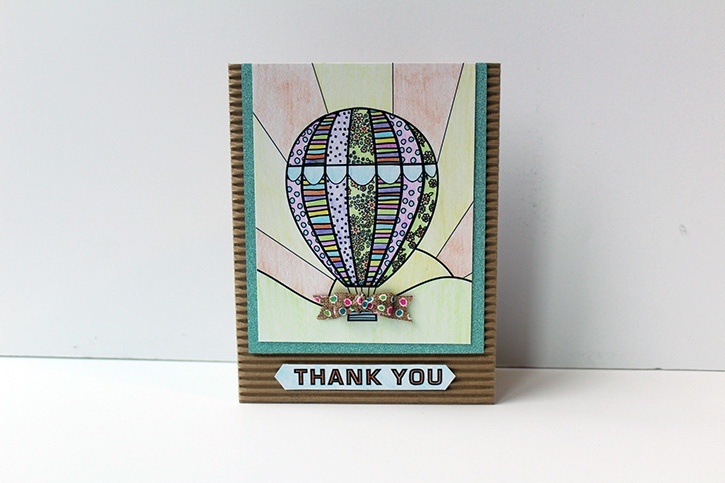 Use colored pencils to decorate the hot air balloon coloring page. 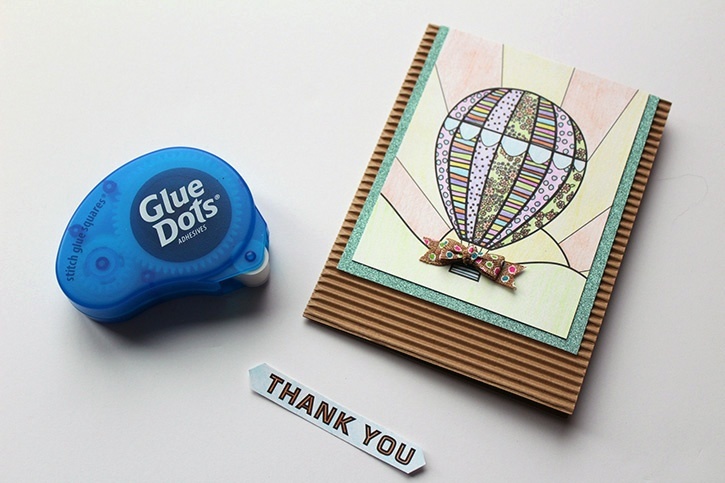 Trim balloon page to 3.5 x 4.5", mat with a glitzy paper from mixed media stack and adhere to front of card with Permanent Glue Squares. 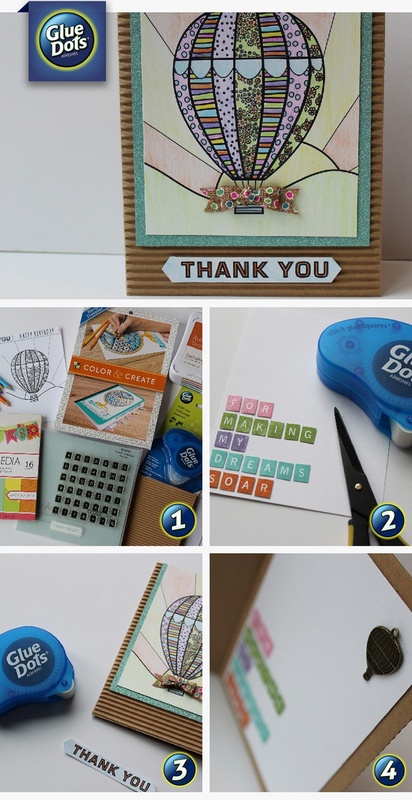 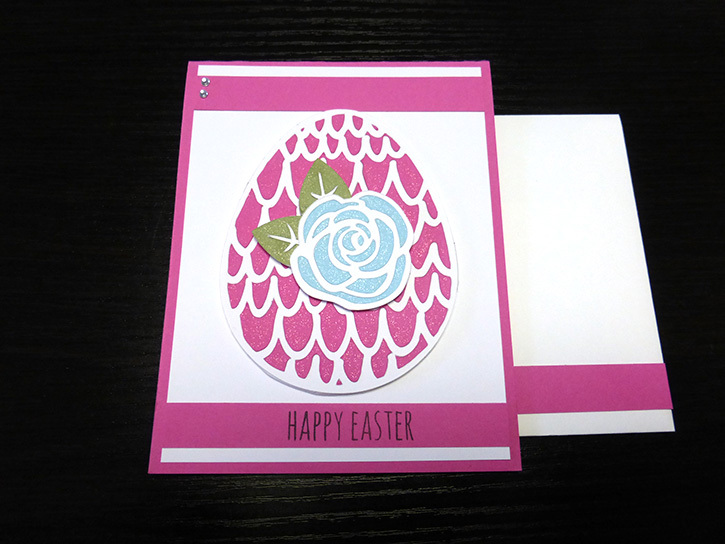 Cut out "Thank You" from coloring page and attach to card with Permanent Glue Squares. 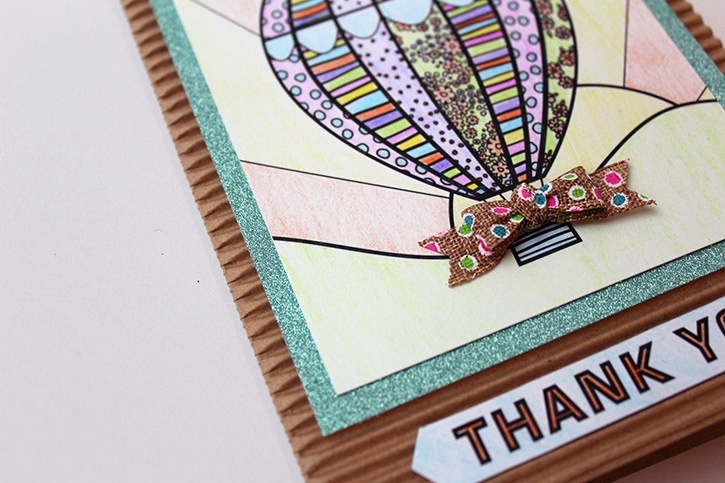 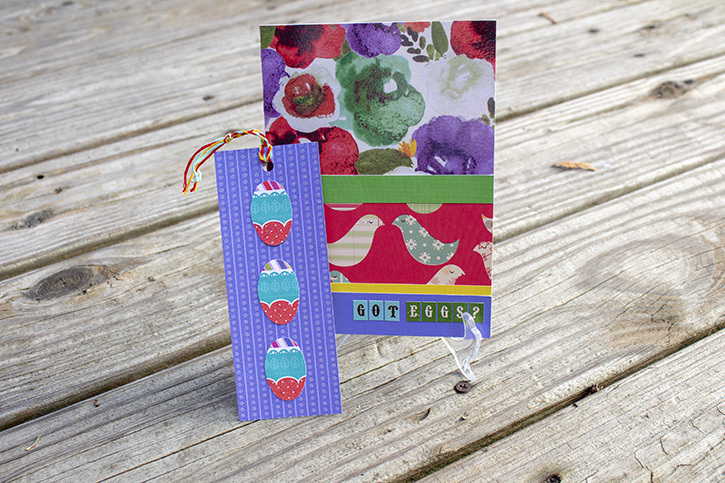 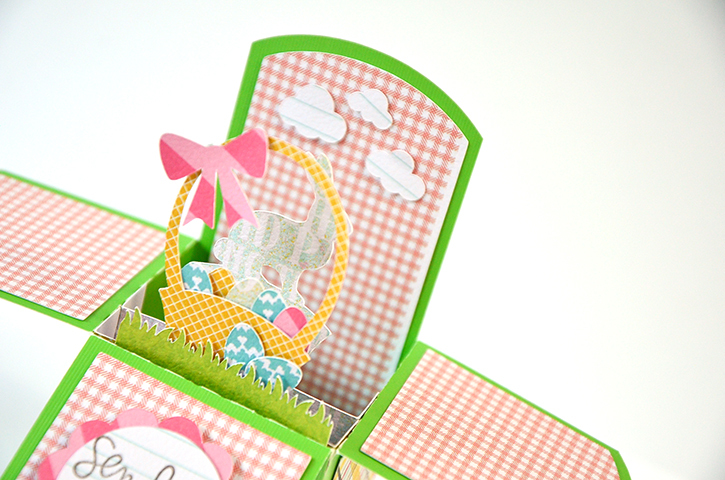 Make a small bow from ribbon and attach to balloon with Permanent Glue Squares. 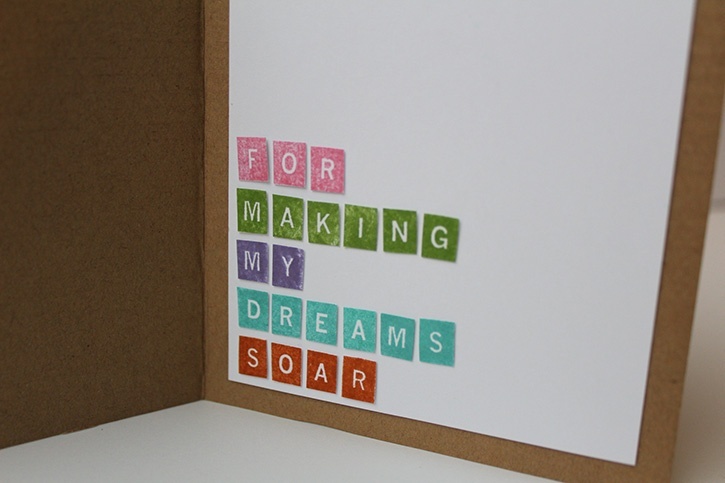 Use letter stamps and assorted ink to create sentiment "for making my dreams soar" onto white cardstock and cut out each letter. 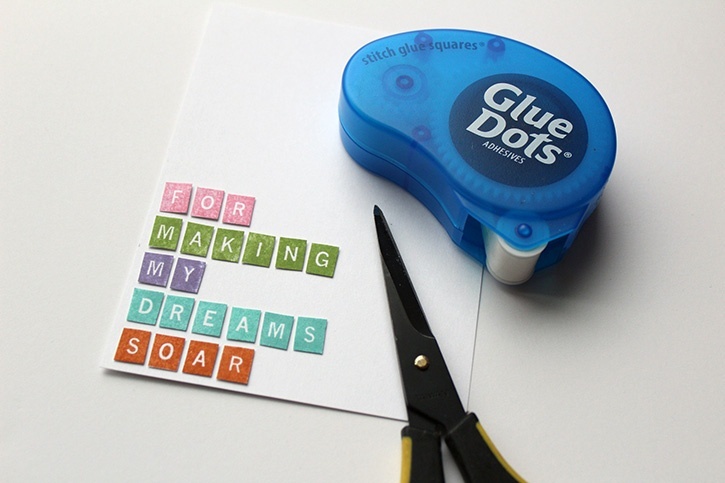 Trim a piece of white cardstock to 3.25 x 5" and use Permanent Glue Squares to attach stamped letters. 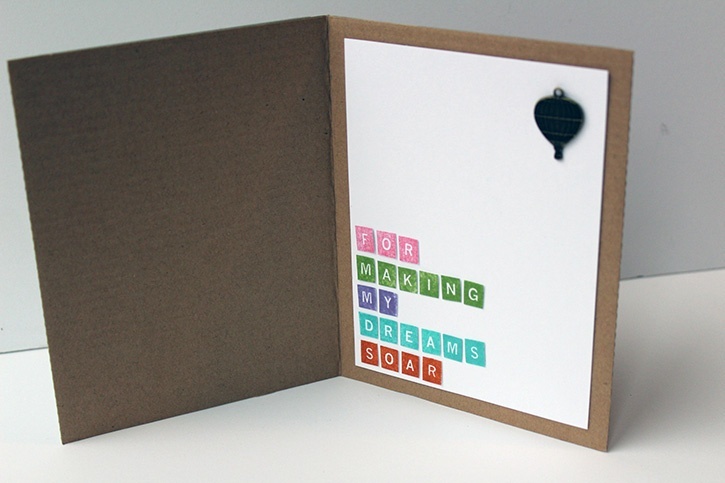 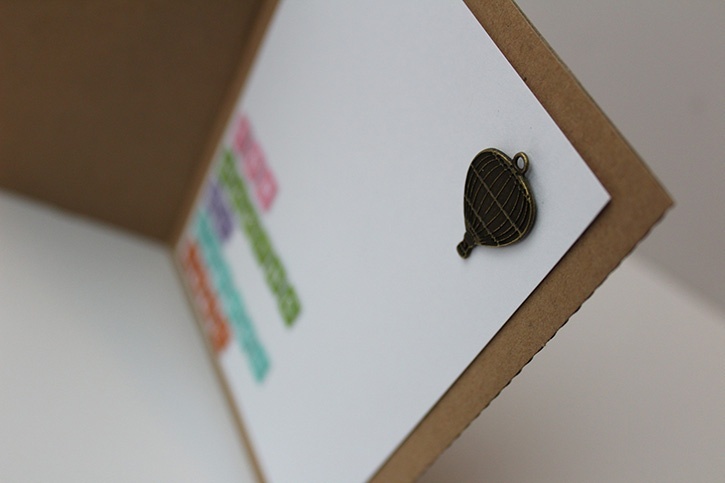 Adhere white cardstock to inside of card with Permanent Glue Squares and then attach the metal hot air balloon.